A distributor is the component in a spark ignition system that channels high voltage pulses from the ignition coil to the spark plugs. Distributors are typically driven by the camshaft, which causes them to rotate at exactly one half the speed of the crankshaft. This precise timing is what allows a distributor to provide voltage to each spark plug at the correct time and in the proper sequence. Modern direct and distributorless ignition systems perform the same functionality without the need for a distributor. 2 How Does a Distributor Work? Every distributor consists of two primary components and a number of other elements. 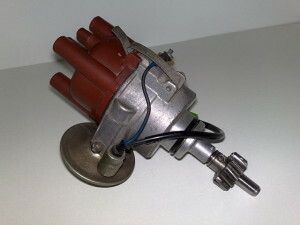 The two main components are the distributor housing, which contains everything else, and the shaft. The shaft goes through the housing and is mechanically linked to the engine (usually to the camshaft) via a gear. When the camshaft rotates during normal engine operation, the distributor shaft spins at exactly the same speed. A distributor consist of a moving shaft inside a stationary housing. The rotor is mounted on top of the distributor shaft, and it rotates inside the cap, which is clamped or screwed down on top of the whole assembly. The points or hall effect sensor are also located inside the cap where they are activated by the rotation of the shaft. In mechanical ignition systems, the condensor is a capacitor that is typically mounted outside the cap. The rotor attaches to the top of the shaft and spins when the engine is operating. Some distributors have the ignition coil mounted inside the distributor cap, but most coils are mounted outside of the distributor. 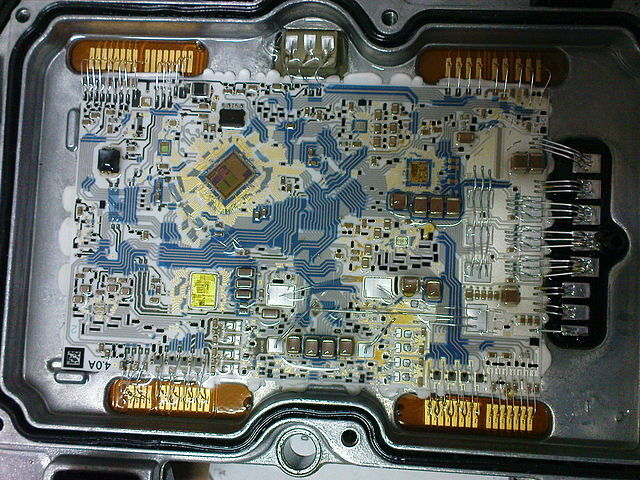 The module may also be mounted inside or outside of the distributor depending on the particular engine. How Does a Distributor Work? The basic operation of a distributor is twofold. First, the rotor turns in time with the camshaft, which allows it to route voltage to each spark plug according to the firing order that the engine uses. Second, the rotation of the distributor shaft operates the contact breaker in order to activate the coil at precisely the right time to fire each spark plug. 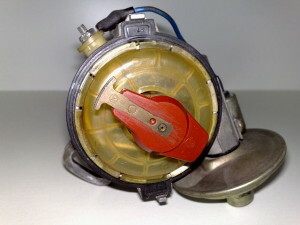 When a distributor cap is installed, an electrical connection is made between the central contact point of the cap and the rotor. Then, as the rotor turns, it makes electrical contact with outer contact points, each of which is connected to a spark plug via a spark plug wire. Since the rotor spins at the same speed as the camshaft, and the camshaft rotates at one half the speed of the engine, the rotor can be made to always line up with the right contacts in the distributor cap at the correct time. A distributor routes voltage between the spark plugs and the coil via wires, a cap, and a rotor. Since the distributor shaft rotates in sync with the engine, it is also provides a convenient way to properly time the operation of the ignition coil. In mechanical ignition systems, this is accomplished with points. As the distributor shaft turns, it causes the points to open and close, which in turn acts as the contact breaker for the coil. In electronic ignition systems, a hall effect sensor (or an optical sensor) and an ignition module are typically used to perform essentially the same function. Although distributors don’t typically fail, they can break down mechanically. In distributors that use a multi-piece housing, the component pieces can become separated, which can result in radically incorrect ignition timing, or a loss of spark altogether. The distributor shaft bearing can also fail, and excessive wear can occur between the distributor gear and the camshaft, especially if there are lubrication issues. Many of the components that allow a distributor to function properly are wear items, which means they have to be replaced on a regular basis. Contact points in particular suffer from wear issues, which means that they have to be regularly adjusted and ultimately replaced. Distributor caps and rotors also wear out, specifically at the electrical contact points, and they also have to be replaced regularly. When these components go bad, an engine may run poorly or even fail to start at all. 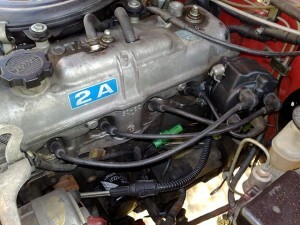 Next story What is a Distributor Cap? Previous story What is an Ignition Coil? What is a Transmission Control Unit? 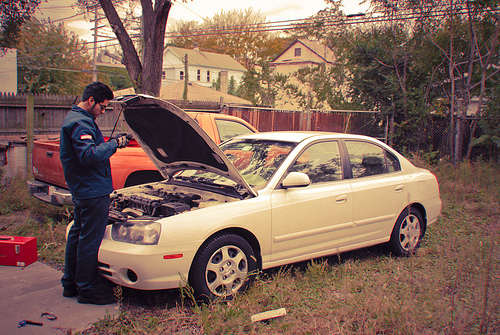 What is an Automotive Service Technician?